Social pest Chilufya Tayali has gone down on his knees pleading with Given Lubinda to forgive him over his earlier corruption allegations at FRA. Tayali says he has no means of facts to defend himself in court and that when loses the case, he will have no money to pay Lubinda and his lawyers. Tayali in August last year loudly told a media briefing that he had overwhelming evidence that Given Lubinda who was then Minister of Agriculture in partnership with FRA Director Chola Kafwabulula corruptly amassed over K720 million in dubious transactions. 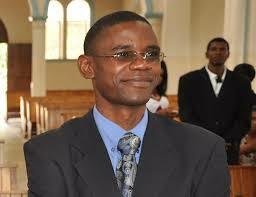 The Watchdog revealed then that Tayali was sponsored by State House and FRA director Ben Chirwa to attack Lubinda. But like all useless chaps, Tayali has been used and dumped like a condom. Tayali said said the accusations leveled against the opposition by PF that it was causing mealie meal shortages by buying the commodity in bulk and storing was hagwish and that the thief was Lubinda. Given Lubinda then sued Tayali for defamation but now Tayali is begging Given Lubinda who is now Minister of Justice to forgive him. 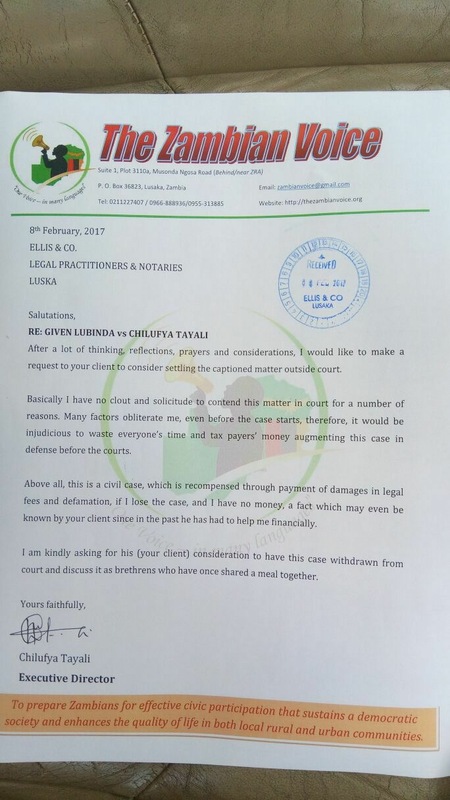 Tayali has asked the Lawyers of Lubinda, Ellis and Company, for the matter to be settled outside court as he claims he is broke for court expenses. Critics of Tayali are quick to point out that the former Zambian Voice director put a last nail into his coffin the day he started championing partisan politics – supporting the PF and criticising UPND. When PF just won, Tayali told his facebook followers that he had been given a job as Diplomat in UK by President Lungu but it turned out that he was merely wishing. He has been accused of forming a party out of frustrations for not being rewarded with a job for the insults he unleashed on UPND and HH in the previous elections. The truth however remains that Lubinda was involved in corruption but Tayali was using Lubinda’ s corruption to make money.